The Gould Piano Trio have enjoyed universal acclaim for their ‘musical fire’ and ‘dedication to the genre’, remaining at the forefront of the international chamber music scene for a quarter of a century. Their diverse discography encompasses renowned masterpieces of the repertoire alongside rediscovered hidden gems and newly commissioned works. Joined by ‘eloquent and expressive’ clarinettist Robert Plane, they demonstrate the breadth of their talents with works dating from 1944 to the present day, including the North West première of Huw Watkins’ Four Fables, performed for the first time at the Three Choirs Festival in summer 2018. 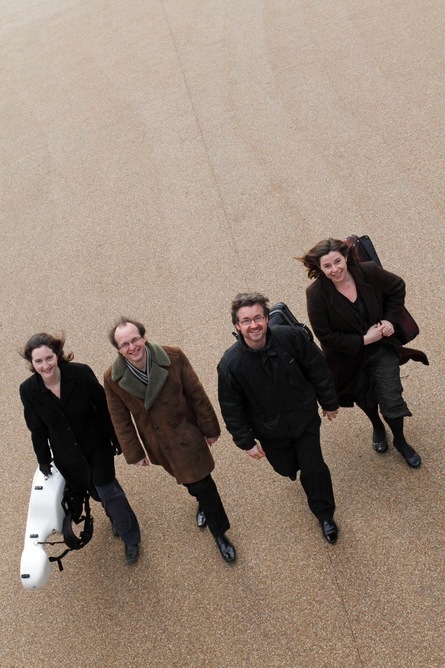 Huw Watkins will be speaking in a pre-concert talk, alongside The Gould Trio and Robert Plane, clarinet.